Note to editors: There are 4 photos associated with this press release. 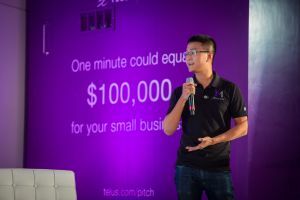 At a live event at TELUS Harbour in Toronto last evening, TELUS announced the winner of the TELUS Pitch, a small business competition that awarded $100,000 to one entrepreneur to fuel their company's growth. After shortlisting to three incredible finalists, iMerciv Inc. was ultimately announced as the grand prize winner. Dedicated to improving the confidence and independence of individuals living with vision loss, iMerciv Inc. works to create smart wearable technologies that improve the overall quality of life of the blind and partially-sighted. 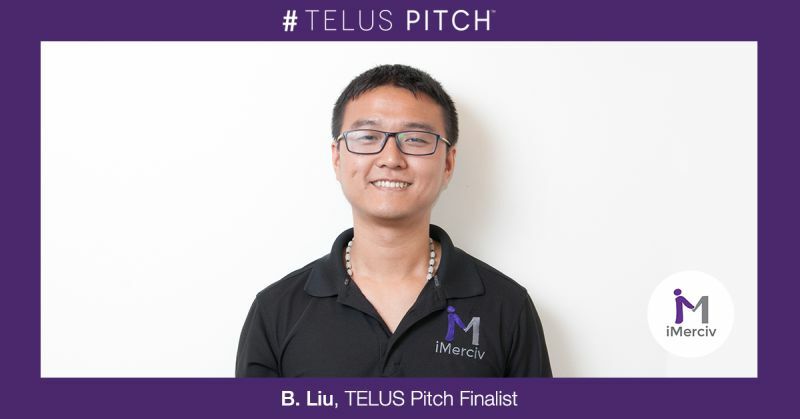 Bin Liu, CEO and Co-Founder of iMerciv, pitched his business along with nearly 3,000 other entrepreneurs, many of whom delivered their pitch in a life-size travelling TELUS Pitch elevator at small business conferences across the country. Liu is an engineer by trade and was inspired to found the company following his father's vision loss and diagnosis of inoperable glaucoma. iMerciv recently launched its first product, the BuzzClip, a wearable mobility tool that helps people with vision loss better avoid collisions. The device uses ultrasound to detect obstacles that may lie directly in one's path. It then notifies the user of these obstacles through intuitive vibrations, allowing the user to safely navigate around any objects that they may encounter, particularly at head level. "Each of the finalists are exceptional entrepreneurs who have dedicated their lives to solving very important but vastly different problems," said Arlene Dickinson, CEO of District Ventures Capital and Dragon on CBC's Dragons' Den. "iMerciv took home the grand prize because the team is working to create life-changing technologies, and they have a defined plan for how they'll use the $100,000 to expand their business and offerings. I can't wait to watch their progress and growth." The iMerciv team will be using the $100,000 prize to ramp up their sales and marketing efforts by hiring a sales team to generate new leads and expand their presence in the 11 countries where the company currently has a customer base. By allocating the prize money towards growth, iMerciv hopes to generate additional revenue in order to more easily build new products. The company will also use the prize money to supplement the research and development costs associated with a second product they are currently in the process of creating that will help further improve the lives of those living with partial vision loss or blindness. 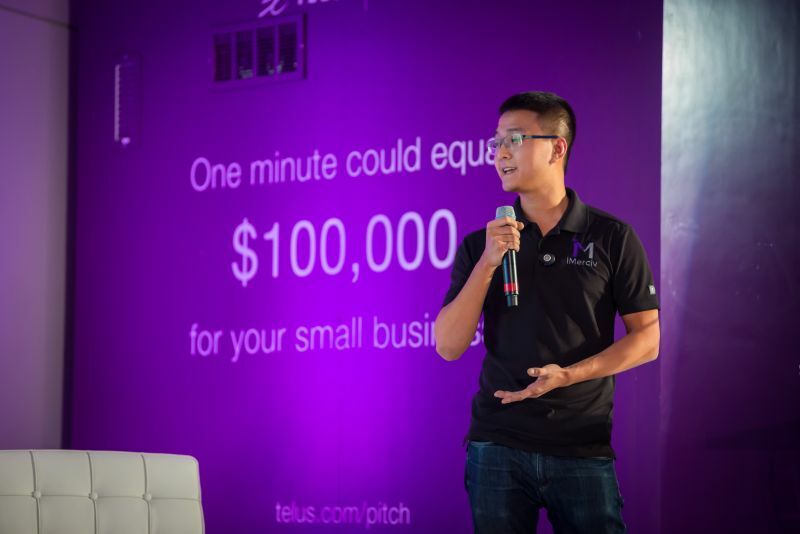 "Being selected as the winner of the TELUS Pitch contest out of thousands of talented, dedicated small business owners from across the country is incredible. We're grateful for this opportunity and so thankful to TELUS for hosting a contest to support Canadian startups and the judges for believing in our team and product," said Liu. 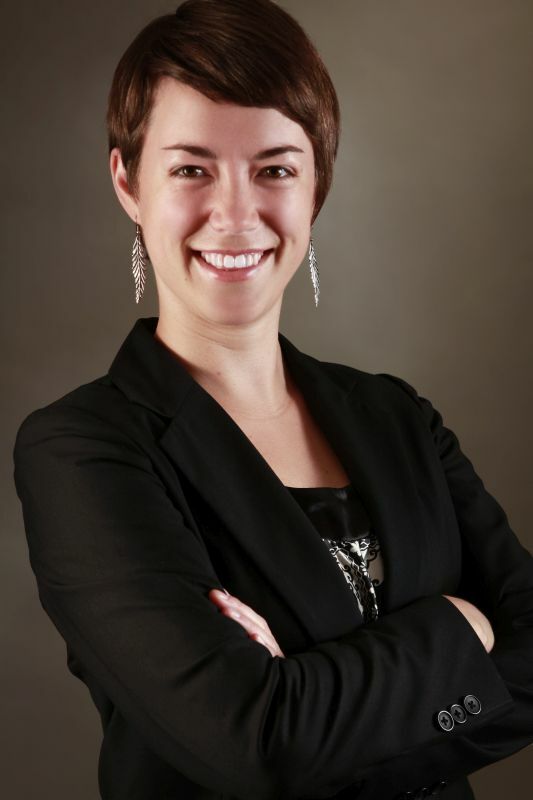 "Building technical solutions to complex problems can be extremely difficult with a limited budget, and this $100,000 is going to allow us to grow and help so many more people." This year's other semi-finalists included Flashfood and JamStack, who each received a $10,000 prize. TELUS also awarded one "Most Promising Startup" prize to Emma Harris, CEO of Healthy Pets, a telehealth company that connects local veterinarians with pet parents through video so pet owners can access affordable pet healthcare on demand from the comfort of their homes. This prize consisted of $5,000 of Samsung technology and $5,000 of mentoring and marketing services from startup marketing firm Eighty-Eight. TELUS also presented a "Community Impact" award to Jennifer Turliuk, CEO of Maker Kids which runs children's programs, camps and parties teaching coding, robotics and Minecraft. This award consisted of $10,000 - plus an additional $10,000 for the winner to donate to a charity of its choice. 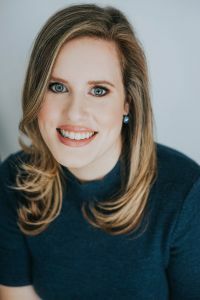 "TELUS is proud to recognize these Canadian entrepreneurs as true innovators who are not only reshaping traditional industries, but also giving back to their communities in a meaningful way," said Suzanne Trusdale, vice-president, Small Business Solutions, TELUS. "Entrepreneurs are the heart of Canada's economy, and as a company whose culture is built on a philosophy of "we give where we live" we are encouraged to see smaller companies doing the same and we are excited to support their success." TELUS (TSX:T)(NYSE:TU) is Canada's fastest-growing national telecommunications company, with $13.1 billion of annual revenue and 12.9 million subscriber connections, including 8.8 million wireless subscribers, 1.7 million high-speed Internet subscribers, 1.3 million residential network access lines and 1.1 million TELUS TV customers. TELUS provides a wide range of communications products and services, including wireless, data, Internet protocol (IP), voice, television, entertainment and video. TELUS is also Canada's largest healthcare IT provider, and TELUS International delivers business process solutions around the globe. In support of our philosophy to give where we live, TELUS, our team members and retirees have contributed over $482 million to charitable and not-for-profit organizations and volunteered more than 7.7 million hours of service to local communities since 2000. Created in 2005 by President and CEO Darren Entwistle, TELUS' 13 Canadian community boards and 5 International boards have led the Company's support of grassroots charities and have contributed more than $60 million in support of 5,595 local charitable projects, enriching the lives of more than 2 million children and youth, annually. TELUS was honoured to be named the most outstanding philanthropic corporation globally for 2010 by the Association of Fundraising Professionals, becoming the first Canadian company to receive this prestigious international recognition.